About a year ago I found this quilt design on Etsy and really dug the pattern and the bright colors. I bookmarked it and kept it in mind. At some point I revisted this quilt and saw that there were now pillow covers in that same design. Score! Wait, do I want to change my pillows? I don't know yet. Bookmark No. 2. About a month ago I decided I was ready for a change and started looking for something to go WITH those pillows. 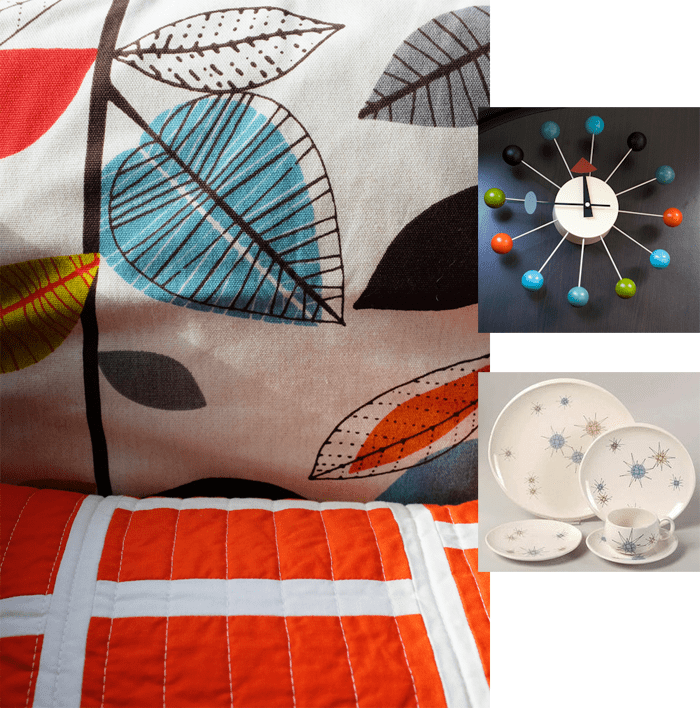 I found these, and put the two designs together in my head and I liked the mix of geometry and color of the tangerine laddern pattern combined with the slightly retro pattern of the leaf design. I mapped out the sizes I wanted and placed my order, and it worked as I'd hoped. The bit of blue in the leaf pillow, the bit of blue in the Nelson clock, the bit of blue in our vintage Franciscan Starburst dishes. Our dishes have no orange, so when I set the table (I know, this is totally design/decor minutae…feel free to stop reading here if you're starting to nod off) I always feel like they are a little "not of this theme" … which is fine. I tend not to like themes anyway. I figured the leaf pillows with the blue right here at the dinette would join it all together and it did. BUT THEN!! 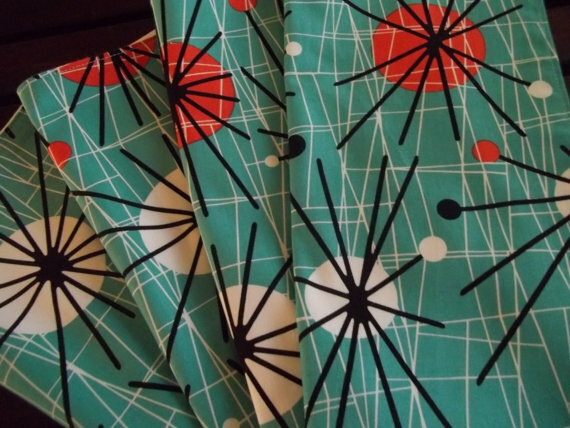 A week or so ago while browsing on Etsy I found these cloth napkins. REALLY?? Could it really be the same turquoise, and the same tangerine? 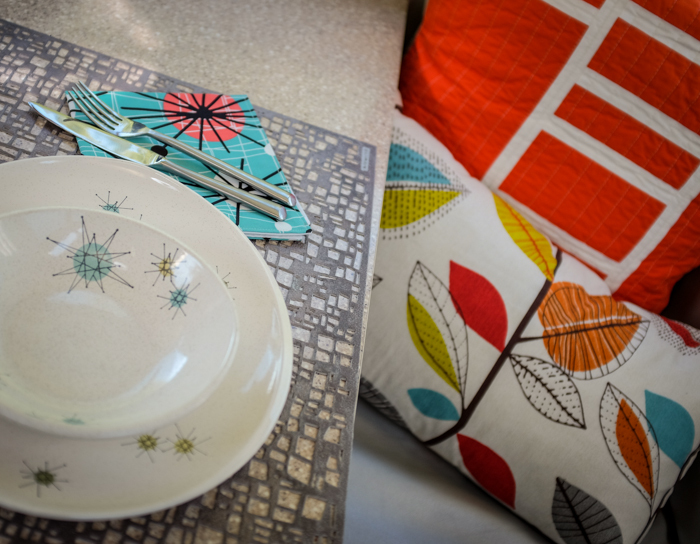 With a similar pattern motif as the atomic pattern in our dishes?? The turqoise looked a little warm in the photo online…. Wonder when I'll get tired of it and want to change things up again.